From 25 July 1833, her married name became Danneskjold-Samsöe. Frederik Christian Danneskjold-Samsöe was born on 5 June 1722 at Copenhagen, DenmarkG. He was the son of Christian Danneskjold Danneskjold-Samsöe and Coradine Christiane Friis. He married Nicoline Rosenkrantz. He married Frederikke Louise von Kleist on 18 June 1773 at Gisselfeld, Braaby, Soro, DenmarkG. He died on 26 March 1778 at age 55 at Copenhagen, DenmarkG. 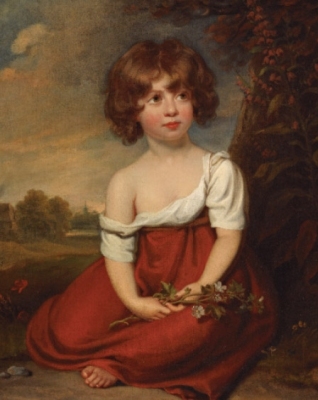 Frederikke Louise von Kleist was born on 31 March 1747 at Rendsburg, Schleswig-Holstein, GermanyG. She married Frederik Christian Danneskjold-Samsöe, son of Christian Danneskjold Danneskjold-Samsöe and Coradine Christiane Friis, on 18 June 1773 at Gisselfeld, Braaby, Soro, DenmarkG. She died on 29 May 1814 at age 67 at Gisselfeld, Braaby, Soro, DenmarkG. From 18 June 1773, her married name became Danneskjold-Samsöe. Christian Danneskjold Danneskjold-Samsöe was born on 1 August 1702 at Verona, ItalyG. He was the son of Christian Gyldenlove and Dorte Krag.1 He married Coradine Christiane Friis on 24 April 1721 at Copenhagen, DenmarkG. He died on 17 February 1728 at age 25. Coradine Christiane Friis was born on 31 March 1699 at Copenhagen, DenmarkG. She married Christian Danneskjold Danneskjold-Samsöe, son of Christian Gyldenlove and Dorte Krag, on 24 April 1721 at Copenhagen, DenmarkG. She died on 23 June 1723 at age 24 at Copenhagen, DenmarkG. From 24 April 1721, her married name became Danneskjold-Samsöe.